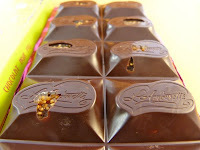 Today was Day #3 of Chocolate and Figs Theme Week. 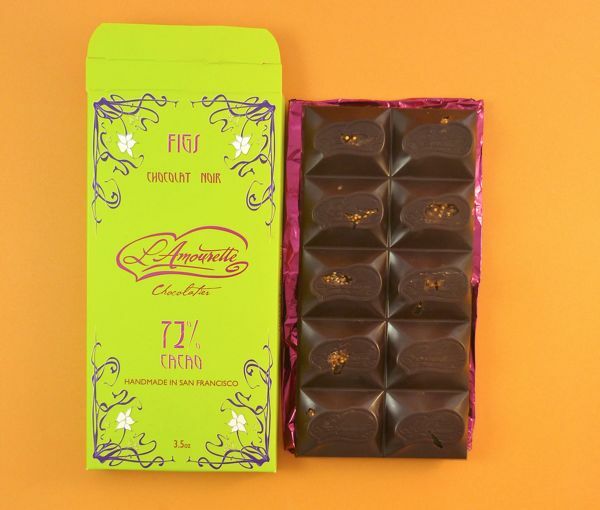 And I celebrated this occasion with a "Figs" Chocolate Noir (72% dark chocolate) bar from L'Amourette Chocolatier/L'Amourette LLC (San Francisco, CA). 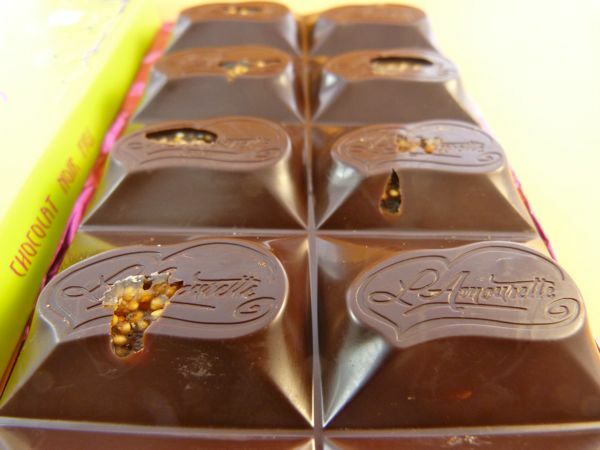 L'Amourette handcrafts a line of chocolate bars that are vegan and soy and gluten free. 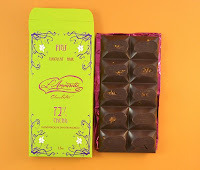 The chocolate in this bar had a distinct dark, slightly acidic tang, and was made using Venezuelan Trinitario cacao beans. The generous bits of dried figs had just the right texture - not too tough and chewy and not too gooey soft, and poked out of the chocolate enrobing.